One of the many noteworthy announcements from Hackney’s seventh cycling conference was that next year it will add ‘walking’ to its title. This is welcome, not simply because this was one of Hackney Living Street’s demands in its campaign manifesto for the May elections, but also because it reflects an understanding that cycling is just one ingredient in a liveable city. If cities are for everyone — and not just motorists — they must encourage walking and living as well as cycling. Or as Andreas Røhl, Gehl Architects’ biking expert put it, ‘cycling isn’t the goal, it’s a means to an end’. Listed below are some other key announcements and inspirations from last week’s event, many of which – we are happy to announce — originate from London Living Streets campaigns. Or so said Simon Phillips, transport manager from Lambeth Council. Thankfully, filtered permeability — using features like bollards or planters to stop rat-running traffic on residential streets — gained a lot of airtime at the conference. Phillips made the important point that we should be looking beyond TfL’s Healthy Streets to building ‘Healthy Neighbourhoods’, or wider cells with less traffic and more liveable environments. 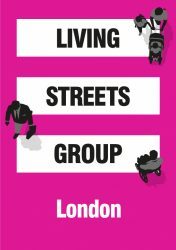 London Living Streets chair, Jeremy Leach and London Cycling Campaign’s Simon Munk presented their invaluable new guidance on low-traffic liveable neighbourhoods. These briefing documents are packed with detail and advice from campaigners, councillors, engineers, planners and engagement specialists. Glanville made an interesting point that while a few years ago the argument may have been framed as motorists versus cyclists, today it is more about ownership of space, or hyper-local arguments about what people want from the space where they live. Councils must learn from this. Munk advised councils to give residents greater agency in shaping transformation of their areas. Gone are the days of ‘yes’ or ‘no’ consultations, he said. Residents must be brought in from the outset, for example via surveys about their street. If residents say they want to cut traffic or improve safety, then councils can show how schemes can address those principles. Welcome news also came from Hackney’s mayor about plans for a residential ‘parklet’ programme. This follows the campaign by London Living Streets campaigner, Brenda Puech who installed a mini park or ‘parklet’ on a car-parking space outside her home in Hackney. Hackney Council opposed her efforts in 2017, forcing her to move the People’s Parking Bay to various locations to outflank evictions. But one year on and following massive community support for the parklet, Hackney Council have come round to the idea. This is a ground-breaking result for Puech and London Living Streets. London boroughs have paid for a handful of parklets in the past, but this is the first time a council will enable communities to create their own. Puech hopes this is a first step in changing how people think about and use our kerbside public space. One member of the audience argued that 20 mph speed limits were still too high on residential streets. In response, TfL’s streets chief, Jeanette Baartman agreed and suggested colleagues were looking into this. The conference was also opportunity for Hackney Council to promote its School Streets programme, where roads around schools are closed to traffic at drop-off and pick-up times to improve road safety, reduce air pollution and encourage children to walk and cycle. Four schools now have a school street in operation with a further 12 planned over the next four years. As Glanville says, the schemes have captured popular imagination so they expect wider take-up in and beyond Hackney. To enable this, Hackney Council is about to launch a School Street Toolkit for professionals in other boroughs. London Living Streets vice chair, David Harrison, presented his vision of a Central London Walking Network that would link London’s key attractions and stations. This ‘elegant and simple’ idea would prioritise London’s medieval streets for walking and cycling, leaving later, Victorian Streets to through motor traffic. With a relatively simple face-lift these ancient, interesting and intriguing streets would be brought back to life with wider pavements, places to rest and greenery to enjoy. More information is available here. Delegates also heard about plans for London’s first ever ultra low emission vehicle (ULEV) streets. The plans, set to go live in July across nine streets in Shoreditch and Hoxton, will introduce two time-restricted pedestrian and cycle zones, allowing access to ULEV and local residents and businesses. In a recent consultation, 56% of respondents were in favour and 40% opposed the plans. The restrictions will be enforced via Automatic Number Plate Recognition (ANPR) cameras, from Monday to Friday between 7am- 10am and 4pm-7pm. ‘I was pleased to see a number of mainstream press coverage around the scheme, and it certainly contributed to the large number of consultation responses from taxi drivers,’ said Mayor Glanville. 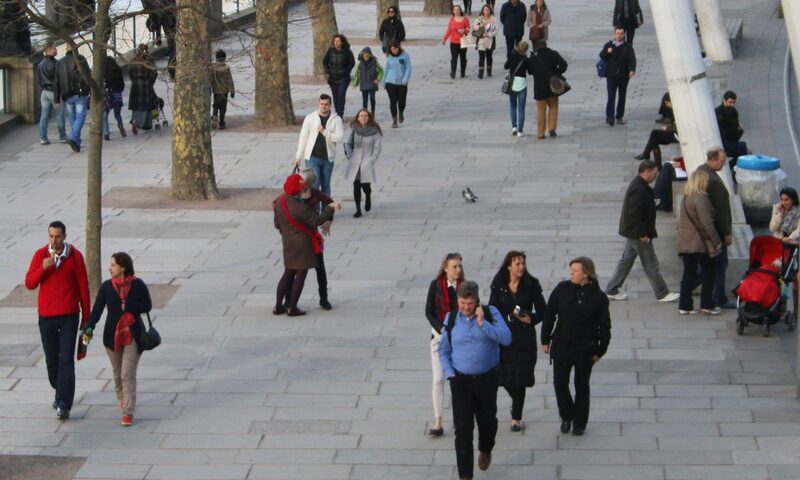 Will Norman, London’s walking and cycling commissioner, announced that London will not give up on its Quietway programme, quoting a figure that 11% of Quietway 1’s cyclists have switched trips from cars. He said they will be revisiting the design of routes and consider more traffic filtering to reduce motor traffic. Once again, Norman made all the right noises about ‘getting people out of their tin boxes’ and the importance of evidence when promoting active forms of travel. We hope these aspirations are matched by actions. London Living Streets remains concerned about the recent approval of the Silvertown Tunnel beneath the River Thames in East London. If London’s mayor and TfL believe in evidence, we’d hope they consider the evidence which proves more roads encourage more cars.